Buy Advanced seeds Auto Amnesia now from Dope-Seeds and get your hands on some incredible autoflowering genetics from the dudes at Advanced seeds. Amnesia is a sativa dominant strain that has long been famed for its potency and flavour and is now available as an autoflowering strain in packs of 1,3 or 10 female cannabis seeds. This strain was created by crossing Original Haze with Auto Amnesia and the result is a medium sized plant that will grow well indoors our outside and produce excellent yields. 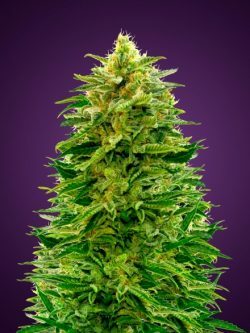 Advanced seeds Auto amnesia is a very good all round AutoFem strain that will suit any cannabis seed collector – Buy them now!